Landscapers are seeking more cordless alternatives to gas-powered outdoor power equipment, and Makita is meeting demand with an expanding line of cordless OPE. The XT274PTX packs two cordless solutions for cutting and clean-ups – but with zero emissions, lower noise and considerably less maintenance. 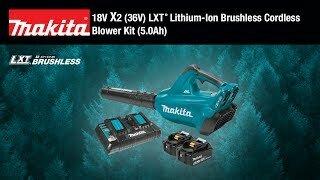 The 18V X2 LXT® (36V) Blower and Chain Saw are both powered by two 18V batteries for maximum power and run time, but without leaving the strongly-preferred 18V battery platform. 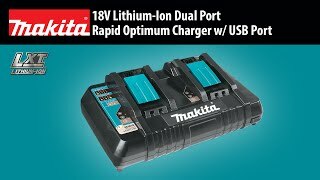 The combo kit includes two fast-charging 18V LXT 5.0Ah Lithium-Ion batteries and an efficient 18V Dual Port Rapid Optimum Charger. The Chain Saw has a 12” guide bar and a Makita-built motor with 1,650 FPM. The Blower has an efficient brushless motor that moves a high volume of air with up to 473 CFM and a maximum air velocity of 120 MPH. Both have zero emissions and reduced maintenance with no engine oil to change, no spark plug to replace, and no air filter or muffler to clean. 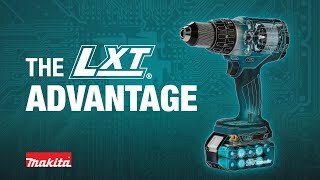 Both feature Makita Extreme Protection Technology (XPT™), a protective seal inside the tool engineered for improved operation in harsh conditions by channeling water and dust from key internal components. The kit also includes an 18V LXT® Brushless 4-1/2" Angle Grinder, which is equipped with an efficient brushless motor and Automatic Speed Change™ technology for corded grinding performance without the cord. Shipping Weight : 38 lbs.